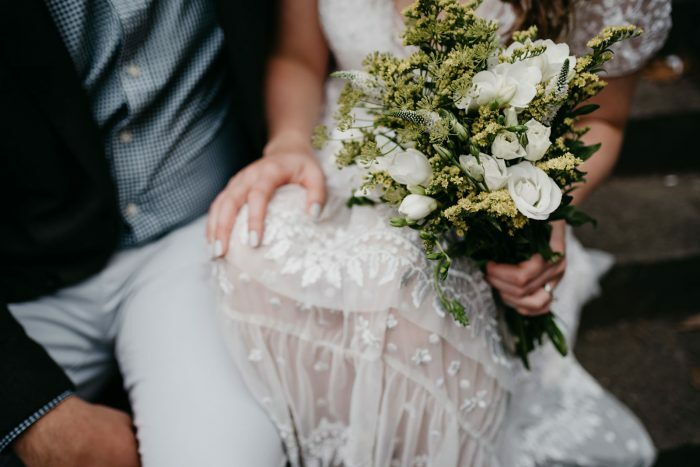 With weddings becoming more and more expensive it’s becoming more difficult to manage your wedding budget without compromising on style, or the details that make you do your excited dance. 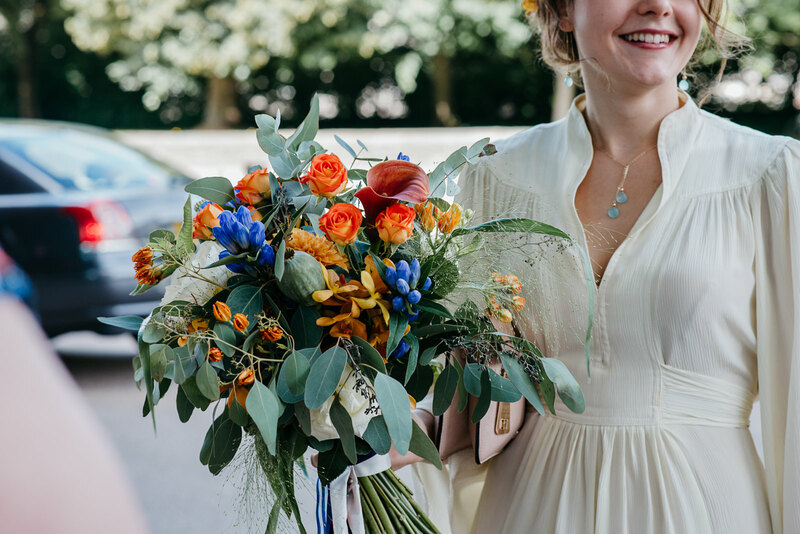 But with a little creative thinking and researching beyond the ‘wedding’ world you can still have the contemporary and modern wedding you crave whatever your budget. This post will hopefully give you some ideas of where you can save, leaving you with money left over for the things most important to you. It’s really easy to get carried away dress shopping, I’m actually embarrassed about how much I spent on my own Stephanie Allin wedding gown. It was three times what I budgeted for and while I felt amazing on the day I now look back and regret splashing out. Today my attitude would be different. First stop would definitely be Needle and Thread. Their gowns are beautifully embellished and the soft pastel hues and tulle remind me of Elie Saab and the blue dress Blair Waldorf married Chuck in (sorry Gossip Girl fangirl here!). They boast a bridal collection, but I think the bargains are to be had in the ready-to-wear collection. Another option is to head to the high street. While not quite as affordable as some of the Needle and Thread dresses. The high street holds the ace of being so accessible. 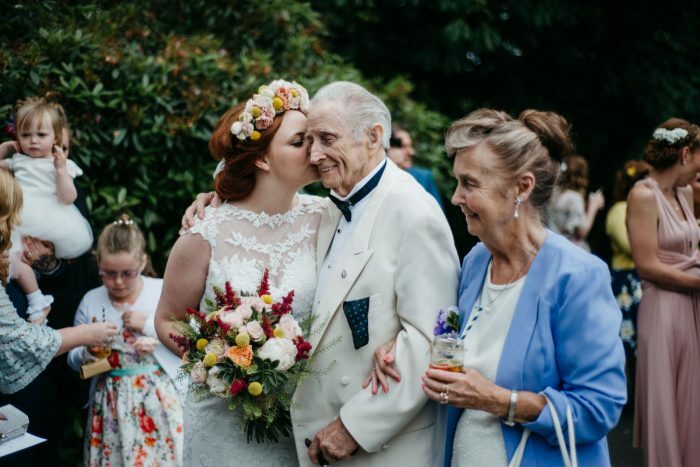 Annabel opted for a strapless satin and tulle gown and lace over top from Monsoon for her back garden festival wedding. My favourite part of the Monsoon bridal collection are the bridal separates. 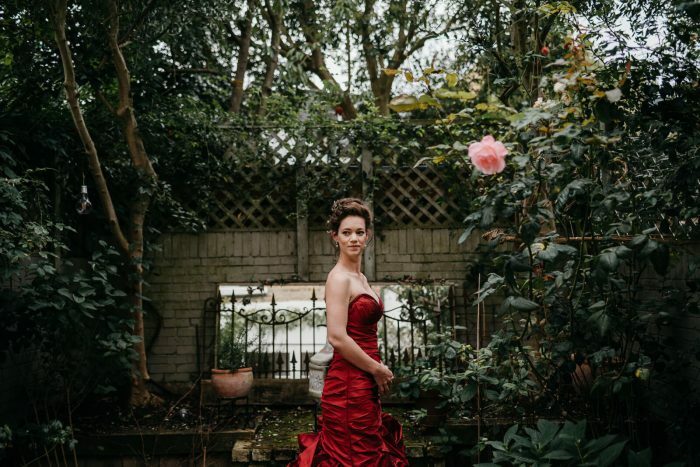 The Dominika skirt (£199) and lace top (£129) are perfect for an alternative city wedding. Alternatively, my favourite option is to wear vintage. Jo had her mum’s 1960’s Ossie Clark dress altered to suit and looked ike a silver screen starlet but you could scour vintage shops. Oxfam online have lots to choose from. Let’s get one thing straight, I’m not suggesting to skip florals all together but use them strategically. With table centres now in the region of £60+ per table, the cost soon adds up. Rather than opting for floral table centres, scour local charity shops for old crystal glasses, decanters and candle holders. If floral table arrangements are a must for you, try using sparingly, perhaps on every other table to reduce costs. Alternatively, opt for arrangements heavy in greens, foliage and in season blooms. Abel opted for simple and elegant ivy and foliage table runners with a few cream roses added for interest. While you can’t get married anywhere in England and Wales like you can in Scotland, that shouldn’t restrict you to only licensed venues. 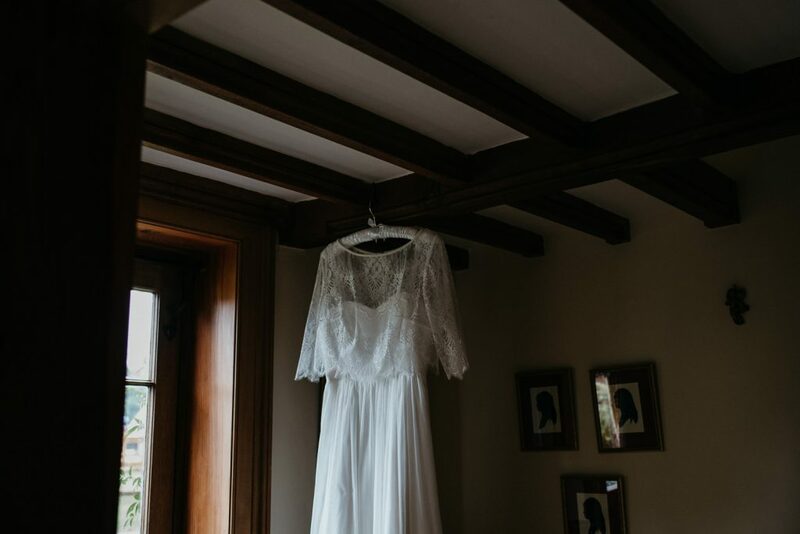 Consider a registry office or Church ceremony, followed by a venue thats unique to you. Look for venues not marketed specifically for weddings. 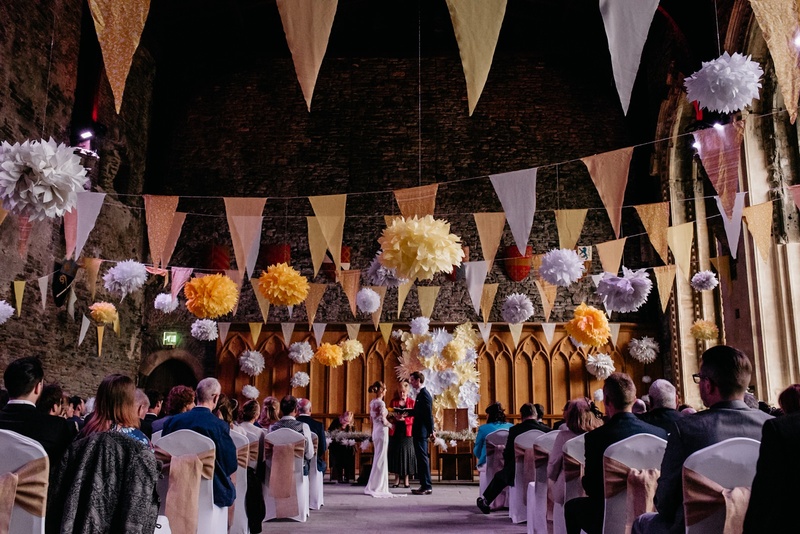 Warehouses, old factory buildings, Arts Centres and even castles have oodles of character and texture and are often less expensive to hire than marquees and tipees. While hire can seem expensive, when broken down and compared to a cost-per-head price it’s often much more affordable. Cake is a subject VERY close to my heart. I still reminisce about a cake a local cafe discontinued two years ago so clearly I’m obsessed! A good way to reduce the cost of your wedding cake is to opt for a single tier layered cake which can them be embellished with flowers or fruits. The result is incredibly chic and modern. Another option worth looking at are naked cakes. They became popular a few years back and I can’t see the trend dying anytime soon. The great news is they are really easy to make yourself. I love this tutorial. Decorate with seasonable fruits, figs or foliage. Everyone has a family member or friend who loves baking and would be overjoyed at being part of your day. Whether its a Naked Cake, single tier layer cake or a iced one like Becky’s mum made, there are so many possibilities. Of course, another trend which has gained momentum over the past few years is a cheese cake/tower. You can put these together yourself fairly inexpensively but I recommend heading to Penylan Pantry. The girls specialise in local, artisan cheeses from our British Isles. Towers start from £130. They also offer gluten free and vegan cakes if cheese isn’t your thing. Street food is massive now and is a great way to add your own stamp to your wedding and cut down massively on catering costs. 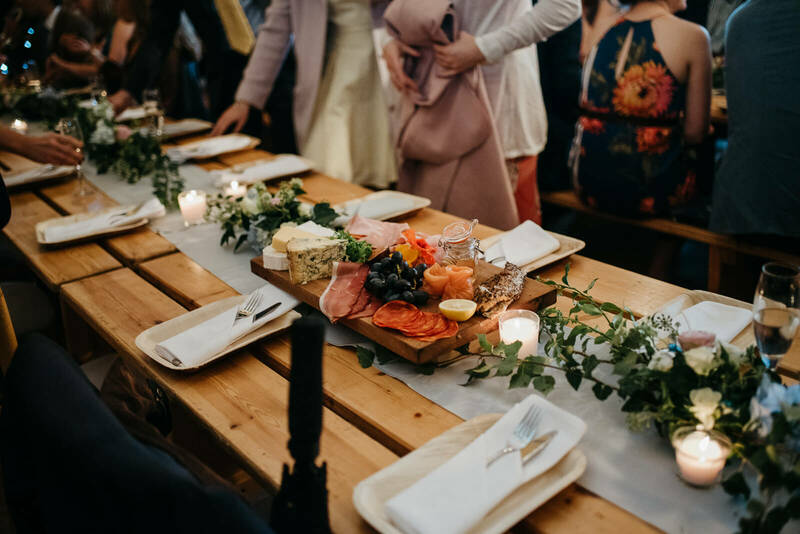 For instance, Cardiff based Dusty Knuckle Pizza were named in the top 25 Pizzerias this year by The Sunday Times Magazine and offer catering for £9 per head, based on 100 guests. If Pizzas not your thing, there are lots of possibilities. 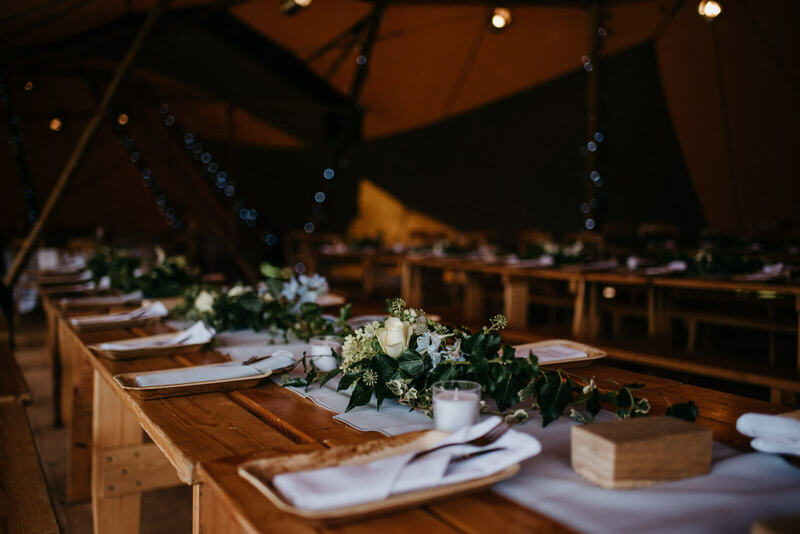 Abel & Paul opted for a gourmet BBQ Ironbridge Catering Company who’s prices start from about £15 per head for mains and around £10 for an oak platter. My last piece of advice? Ditch the DJ and make a rough saving of about £750-1000 instantly. Instead make a playlist on Spotify. Almost all venues have some sort of sound system that you can play music through. Obviously this is a subject close to my heart. But, I encourage you not to save on photography. If photography isn’t important to you then thats fine too. Cakes get eaten, flowers wilt, and dresses get dirty. But your photographs are the one thing that will last a lifetime. They will invoke memories and emotions, and be the things grandchildren pour themselves over in years to come so consider this one carefully. If you have any questions, do feel free to drop me a message. I’m more than happy to chat! 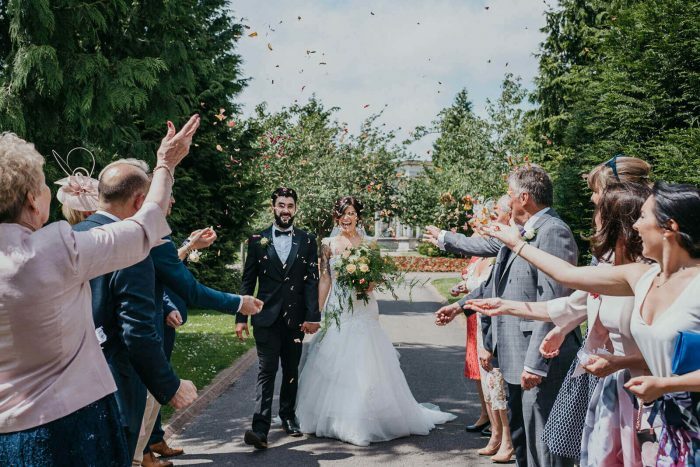 South Wales Wedding Venues 5 Ways to Rock your Confetti Throw Choosing What to Wear on Your Wedding Day Should you invest in your wedding photography?